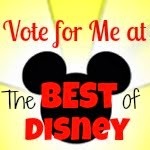 I’m Joann, a 61 year young Disney nut from NJ, who loves to watch her family run. When I’m not at Disney World or Disneyland, I work my magic as VP of Operations at a warehousing company that specializes in footwear. Running is a new adventure for me, but Disney is not, so what better place than Disney to fine tune my experience! 1) My daughter convinced me to join her at the 5k during WDW Marathon Weekend in 2013. I was nervous I wouldn’t finish (and even more nervous about the tutu I was wearing! ), but I did and I was hooked. I had so much fun. Disney knows how to feed the adrenaline. I knew I wanted to do it again. 2) The first 5k inspired me to take off 70 pounds just in time for my second ---Mickey’s Jingle Jungle 5k-- during Wine and Dine Weekend in November 2013. What a difference at this race. 3) Had to try a race at Disneyland, so my third 5k was the Disneyland 5k during the Disneyland Half weekend in 2014. 4) First 10k at the Tinkerbell Half Marathon Weekend in 2015. 5) 10k at the Disneyland Half Marathon Weekend in 2015 (didn't do well, but love that I ran through the castle! Inspiration for Running: My biggest inspiration is my daughter, Alyson. She is definitely the reason I even considered doing a Disney run. Her encouragement (and the thought of sharing this experience with her) got me through my first race. She is an amazing woman and inspires me in many ways. I also got some inspiration from my son in law, Bill. I love how he supports Aly’s passion and runs by her side. My favorite character: That’s a tough one. I guess it would ultimately have to be Mickey. I’d like to be creative and name some other character with an elaborate reason, but it’s simple. I love Mickey! Always have. Why I love to run Disney: Running Disney is such a high. There is a great community of runners, spectators and voluntEARs who create a dynamic atmosphere at these races. Being able to dress up in an alter ego costume while you’re running is the icing on the cake! Running Advice: Being a novice runner, there’s not much advice I can give, except to keep going. Always look at your personal accomplishments, whether it’s one mile, 3.1 miles or 26.2. Don’t compare yourself to others. I’ve learned that’s a big part of what running is about.